I see more and more individuals and organizations joining in to participate in Kuspuk Fridays. These summer parkas can be worn by men and women. I wrote an article about it for the Fairbanks Daily Newsminer in 2013 for the Athabascan Word of the Week column. My daughter wrote an article for her middle school newspaper, the Ram Report. 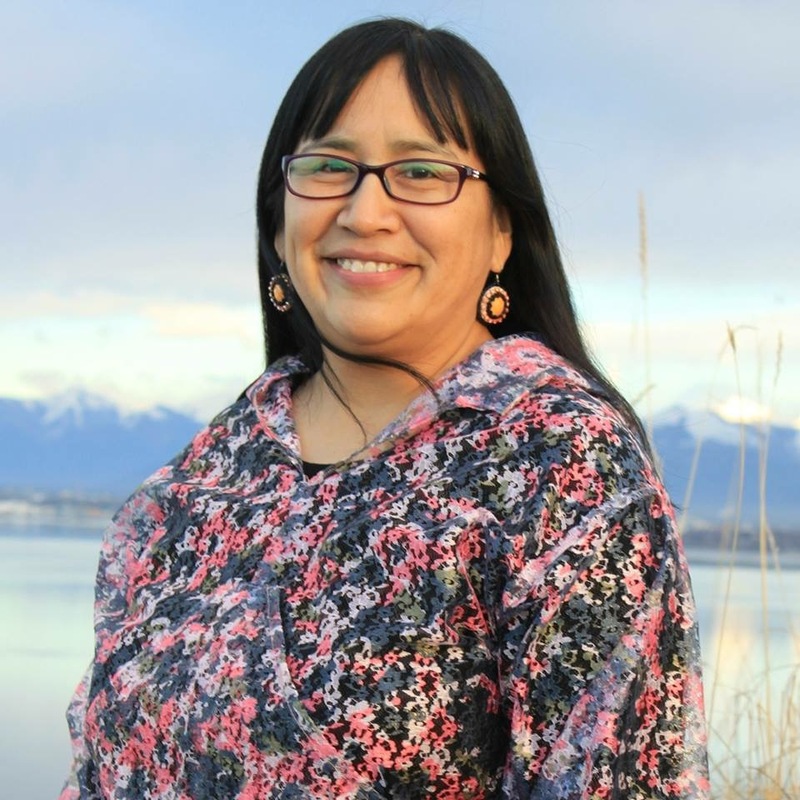 Wendler Middle School journalism teacher Anna Kupilik graciously allowed me to share the article on the Athabascan Woman Blog. This month is heritage month for Alaska Natives. 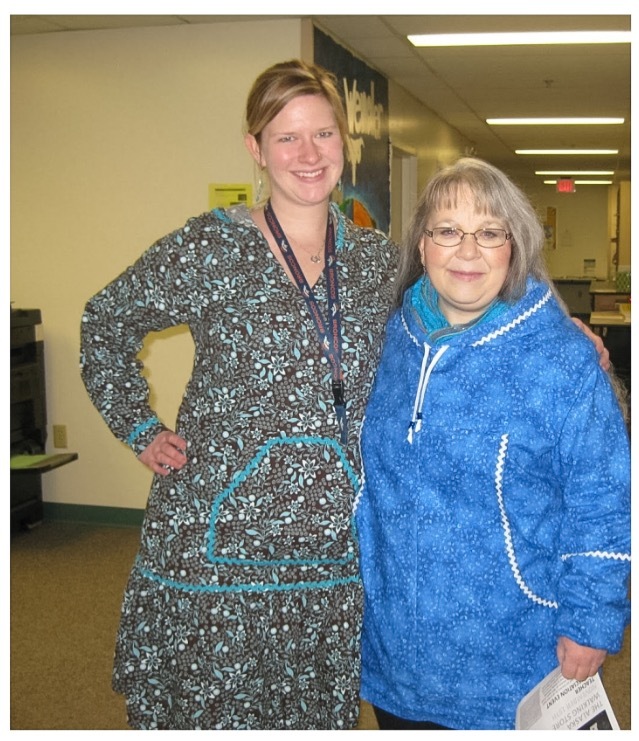 One part of the Alaska Native cultures is a kuspuk, a traditional clothing. It is commonly worn by Alaska Natives. There are different types of styles. There is a skirt used to keep cool while picking berries along with strings on it to keep bugs away. Ms. Rosa has been helping the students make their kuspuks. One student is almost done. She learned how to make kuspuks from her mom. After high school she learned how to use a sewing machine. Later this school year Ms. Rosa will be doing a vest kind of garment. Every Friday is kuspuk day, so wear your kuspuk. Thank you to Ermelina for a great article highlighting kuspuks. Here are some translations for summer parkas in other Alaska Native languages. See a few more translations in the flyer below. 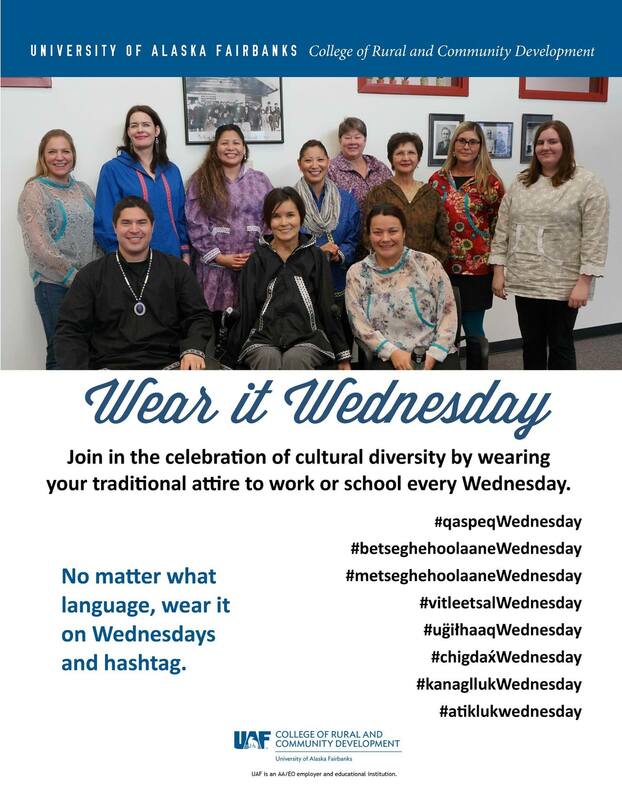 Staff at the University of Alaska Fairbanks College of Rural and Community Development wear their kuspuks on Wednesdays. Recently, KTVA did a story kuspuks and created a photo gallery. I enjoy wearing my summer parka. 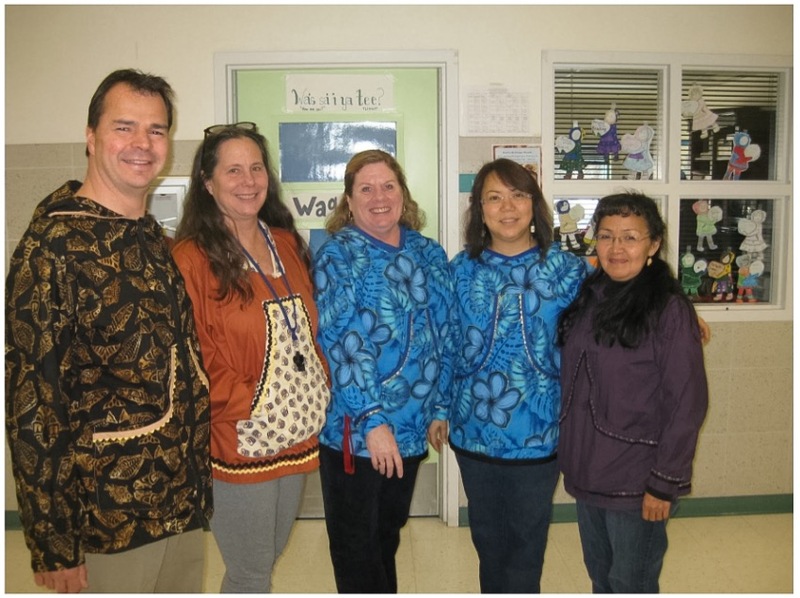 It’s great to see Alaskans embracing Alaska Native culture by proudly wearing their kuspuks. Do you have a day where you wear summer parkas? For the last twenty years or so, many of the staff and some students at Denali School in downtown Anchorage have been wearing Kuspuks every Thursday. Clear and interesting writing from Ermelina – great job! Loved the pictures. I wore my 2 kuspuks in Hooper Bay and forgot about Kuspuk Friday! Interesting post! Thank you! Could you send me the “Donovan Felix–Athabascan Hide Tanner” article again. It keeps saying Error 404 and I cannot access it. Sorry about that Vina. He asked me to remove it after I posted it. He was not ready. I hope he will allow me to share it later on.